A visit to Venice is incomplete without including an excursion into the Lagoon, the generous mother of the city which, on reflection, has been alone responsible for its glory. Its shallows, channels and mud banks, better than could any human hand, have protected it from all its enemies, whether human or natural. The Lagoon, 550 square kilometres, 52 kilometres long and 8 kilometres at its widest, is the biggest lagoon in the Mediterranean. It comprises two main basins, of the North Lagoon and the South, the former being largely composed of scattered islands. Between these basins lies Venice, shaped as fish formed by 118 urban islands mostly barely discernable in the fabric of the city surrounded by perhaps 40 islands altogether scattered on a flat shallow lagoon. 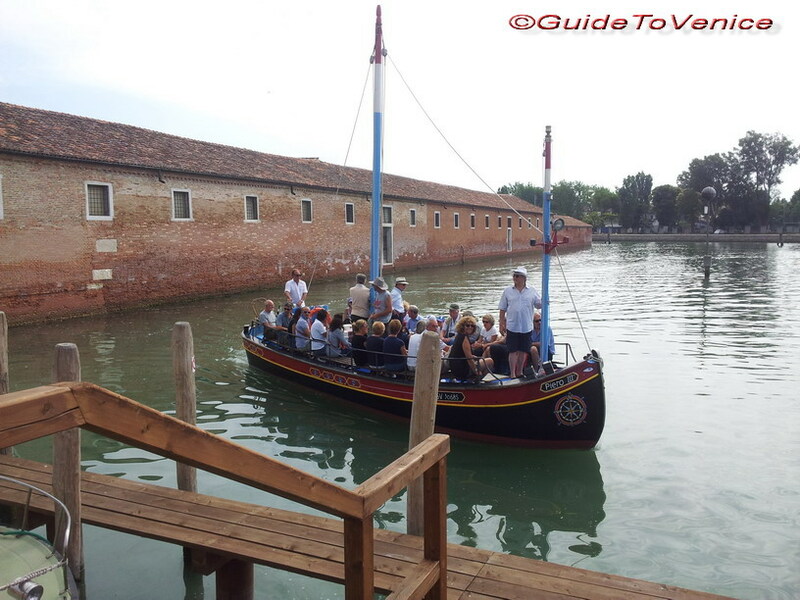 GuideToVenice, differently from the usual pre-packaged tours, offers various journeys by boat into the natural and historical wonders of remote corners of the Lagoon, often lonely and unfrequented. Your guide has an intimate and enthusiastic knowledge of these places and their history. Slipping unobtrusively amongst islands, salt marshes and reed beds, shoals and channels in a bragozzo is an unforgettable experience. From Livy to Brodsky, from Goethe to Hemingway, writers throughout history have been inspired by these tranquil waters and the secretive islands amongst which they flow. Here there are no bands of chattering tourists urgent upon their next stop; exploration like this demands a carefully chosen craft built to work these channels, slow, silent and graceful. GuideToVenice has selected for you (see the link below, 'The partners of GuideToVenice') a few small-scale specialists whose skills and interests match its own. Whether by bragozzo or by more modern craft, carefully built and run to avoid damaging this most delicate ecosystem, you will indeed know that 'the journey itself is better than its end'. Ask for a special custom visit. The welfare of Venice throughout history has extended far beyond the city itself, and this trip begins with the visit to the fortress of Sant'Andrea, off the island of Certosa, not far from the city, masterpiece of 16th century military architecture. Known also as 'The Sea-castle' or the 'New Castle', it is now uncared for and almost abandoned. It was from here that, on 20 April 1797, Bocchesi and Schiavoni launched an attack on a French ship attempting to enter the lagoon. The consequences were disastrous for the city; Napoleon determined that it would be take by force, and the subsequent pillage stripped it of much of its treasure. From the height of the fortress itself there is an excellent view of the mouth of the port of Venice. The next island on our programme is the nearby Sant' Erasmo, where Maximillian's Tower, an Austrian fortification, has been restored and can now be visited. The island is also known as 'the market garden of Venice'. Our trip ends on the island of Lazzaretto Nuovo, the ancient quarantine island of La Serenissima. From 1468 until the end of the Republic this was where crews and ships entering the Lagoon were held and checked for contagious diseases. It became a quarantine station and hospital during the Great Plague, and some 10,000 people were confined there. At present it is the site of a major archaeological study. A small museum records this, and there is also a hide for birdwatchers to be found on the path around the island, from which a variety of waders and diving birds can be easily observed over the 'barene' (saltmarshes). This itinerary takes us amongst the most beautiful islands of the North Lagoon: Torcello, Burano and San Francesco del Deserto. 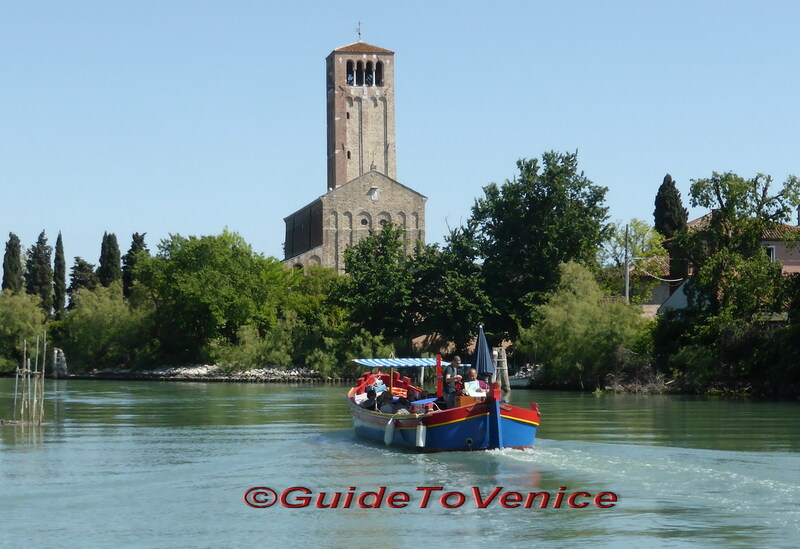 After the visit to the enchanting Torcello and the colourful Burano (see the link 'The Major Islands' for details) our destination will be San Francesco. It has been a Franciscan friary since 1229 and the first place in the world to boast a church dedicated to the saint, who came here for a short period after returning from the Holy Land. The island, truly an oasis of peace and serenity, is open to visitors and to anyone who wishes to join the friars for a retreat. There is a wonderful view of Burano from its gardens. On our return towards the city we come Mazzorbo, the - maiorbium - 'great city', whose few traces we will find amongst the gardens and orchards that now occupy it. The only church surviving from amongst the seven once standing amongst them is Santa Caterina. Little visited, it is a gothic structure but on more ancient foundations. It was restored at the end of the 20th century and serves as a precious witness to the mediaeval lagoon. Secluded and little frequented it lies on the southernmost tip of Mazzorbo. 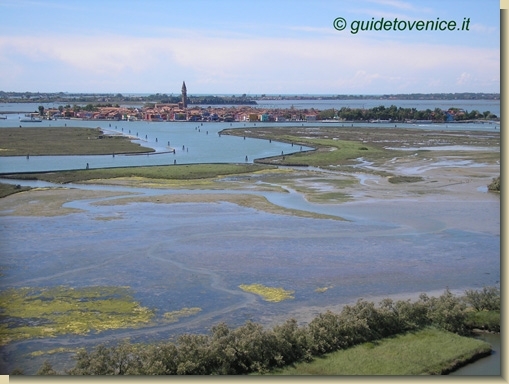 Leaving Burano we pass into the Canale della Dolce towards the forgotten archipelago of the islands of Costanziaca, Ammiana and San Felice, sailing between velme (mudflats) and saltmarshes, haunt of heron, little egret, grebe, curlew and bittern. By the end of the Middle Ages these islands had been partly swallowed up by the Lagoon, their inhabitants taking to more secure homes. Their names have changed over time, and now they are known as La Cura, San'Ariano (where the bones of the dead, moved from the cemetery island of San Michele, found their last resting place from 1565 to 1958), Santa Cristina (no landing) and the one-time salt pans of San Felice or, more simply 'La Salina' (The Salty), the last solid earth to be found in the North Lagoon (privately owned, and accessible to clients of GuideToVenice). La Salina has been lovingly tended for 40 years by a caretaker. It is approached through a tortuous channel between sea lavender flowers, saltwort and tamarisks. When we land we are free to wander through the extensive gardens of artichokes and orchards, in a quiet broken only by the cry of peacocks hidden amongst the tamarisks. 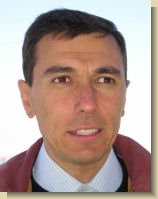 GuideToVenice can, exclusively, offer an exceptional guided tour of outstanding historical interest. 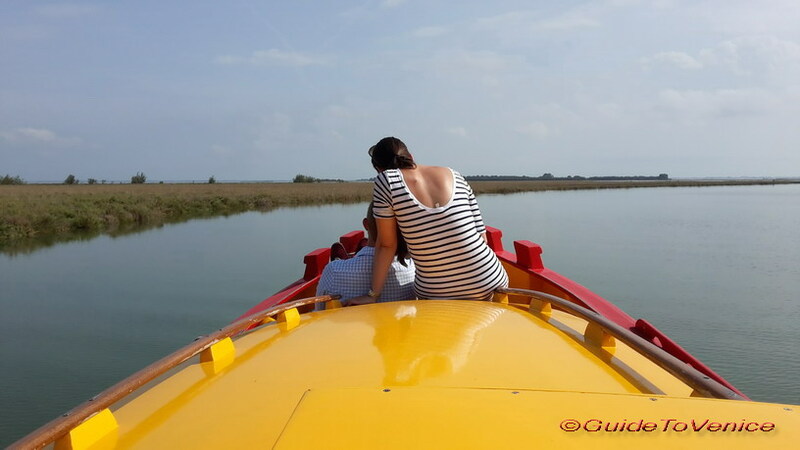 Associated with a visit to the museum at Torcello and a survey of its archaeology, we take a leap back in time (by boat) to the remains of the Roman city of Altino. Through the canals of Silone, Siloncello and Santa Maria, we sail through a wonderfully atmospheric world of shallow mudbanks and 2-metre-tall reeds, rich with bird-life throughout the year. We land at Il Cormorano and walk around half a mile to the excavations of the 1st-century-BC Roman city of Altino. The Museo Nazionale di Altino, not much visited but presenting an astonishing record of the excavations, displays amongst other things the most delicate glass funerary caskets, bronzes and funerary busts dating from the 1st century BC to the 4th AD. The open-air mosaics, the gateway and the Roman road probably the last strech of 'Via Annia' make a memorable visit. Full day only. 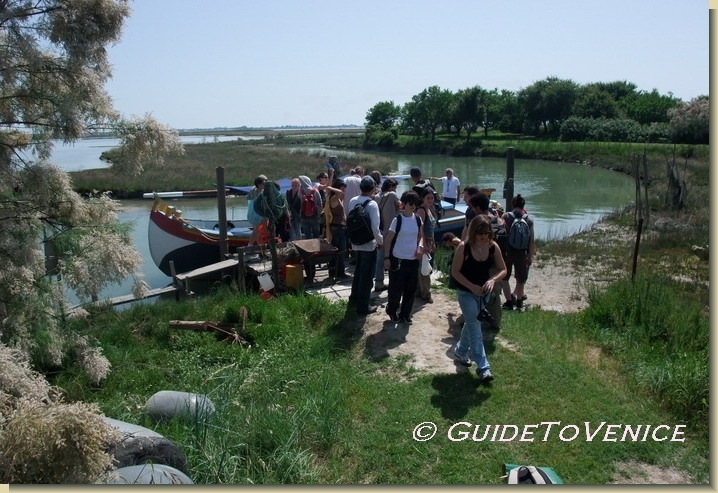 A pleasing adventure to discover the strange 'Casoni' islands built out of the lagoon itself used by fisherman wildfowlers as shelters and workplaces, such as Cason Zappa, Figheri amd Millecampi. 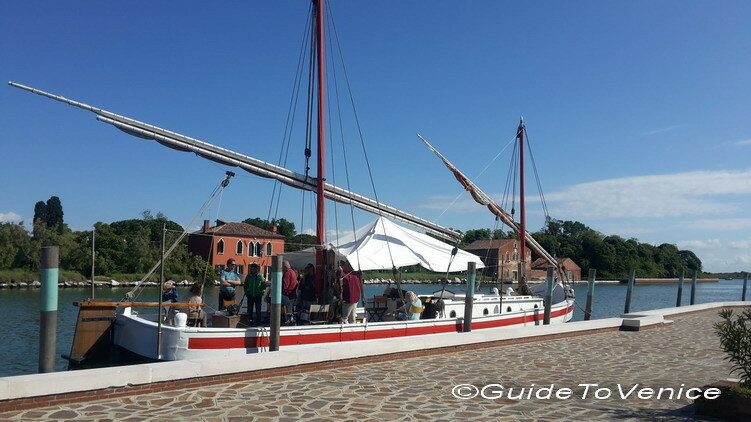 This is a long trip which includes the fishing villages of San Pietro in Volta and Pellestrina, in the long island of the same name before coming to the town of Chioggia. Pellestrina shelters a wild and lonely beach behind the historical sea wall called "Murazzi" built in Istrian stone in the XVIII century. This is the only example of a beach created entirely by the hand of man to protect the shoreline from the winter storms. Full day only.